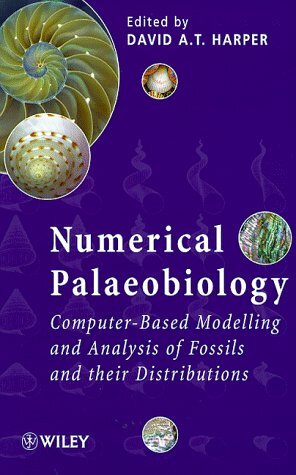 Numerical Palaeobiology Computer-Based Modelling and Analysis of Fossils and their Distributions Edited by David A.T. Harper University of Copenhagen, Denmark Microcomputers have become an everyday part of the palaeobiologists tool-kit. Moreover, there is now a wide range of computer software available to handle all sorts of palaeontological data and problems. This book, aimed at final year undergraduates, graduate students and professional palaeontologists, biologists and geologists, brings together the many strands of contemporary palaeontology through the medium of numeracy. It provides a comprehensive review, with applications, of the many computer based techniques available for the analysis and modelling of palaeontological data. The first part of the book covers classical phenetic taxonomy through cladistics and the computer-generated reconstructions of fossils to actual models for fossil growth. This leads onto distribution analysis and modelling of fossils in time and space. Detailed stratigraphical distributions of fossils are described in quantitative terms together with the larger-scale patterns in the history of life itself, while palaeoecology, palynofacies, trace fossils and palaeogeography are all introduced through a spectrum of numerical algorithms. The majority of the studies are linked to specific software packages and many are illustrated with case histories. Although there are a number of books available on computer modelling and data analysis in geology, no study has integrated the two with such a range of palaeontological subject material. Microcomputers have become an everyday part of the palaeobiologists tool-kit. Moreover, there is now a wide range of computer software available to handle all sorts of palaeontological data and problems. This book, aimed at final year undergraduates, graduate students and professional palaeontologists, biologists and geologists, brings together the many strands of contemporary palaeontology through the medium of numeracy. It provides a comprehensive review, with applications, of the many computer based techniques available for the analysis and modelling of palaeontological data. The first part of the book covers classical phenetic taxonomy through cladistics and the computer-generated reconstructions of fossils to actual models for fossil growth. This leads onto distribution analysis and modelling of fossils in time and space. Detailed stratigraphical distributions of fossils are described in quantitative terms together with the larger-scale patterns in the history of life itself, while palaeoecology, palynofacies, trace fossils and palaeogeography are all introduced through a spectrum of numerical algorithms. The majority of the studies are linked to specific software packages and many are illustrated with case histories. Although there are a number of books available on computer modelling and data analysis in geology, no study has integrated the two with such a range of palaeontological subject material.